A childcare business is like any other. How your taxes are structured depends on the way your business is organized. Are you a sole proprietor of a single daycare? Have you set your business up as a limited liability company or S-corporation? While your tax preparer or CPA can assist you with getting your taxes filed, EZChildTrack childcare management software can help you gather your data and generate the required reports for your return as well as your clients’ returns. As we mentioned above, the documentation and forms required depend on how your business is structured. Corporate daycare businesses file taxes separately from the owner’s or partner’s personal tax returns. The corporation is taxed as a separate entity reporting revenue and filing expenses on Form 1120 - the corporate tax return. Sole proprietor or single-member LLCs file as a sole proprietor. The individual operating the business uses Schedule C or Schedule C-EZ to report deductible business expenses, revenue, and net profit. Net profit is combined with other income reported on Form 1040. Partnerships, S-corporations, and multi-member LLCs are all taxed as partnerships. The owners report a portion of the business taxable earnings on their personal returns and pay income tax on those earnings. Partnerships and S-corporations use Forms 1065 or 1120S to report 100% of the daycare deductions, revenue, credits, and business-related tax items. Each owner reports personal returns using Schedule E and prepares Form K-1. As a daycare owner, you can deduct ordinary and necessary expenses for running your childcare business. 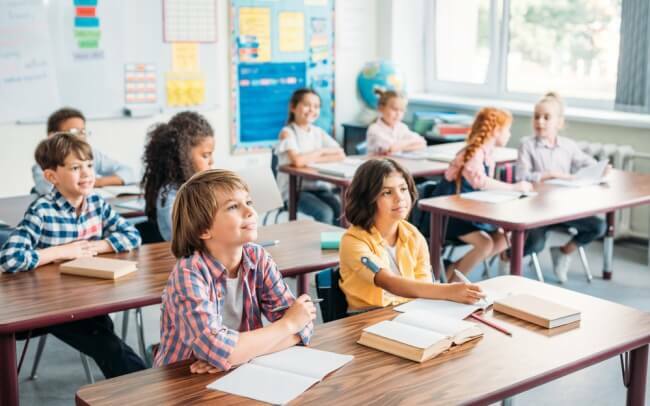 These include rent and office equipment as well as specific industry costs like arts and crafts supplies, children’s furniture and desks, educational materials, televisions, snacks, and games. For every expense and deduction listed on your business and personal taxes, you must have supporting documentation. You need receipts for items purchased, services engaged, and other expenses and deductions. If you have staff, you need documents supporting withholdings for payroll taxes and other payroll items. Throughout the year, ensure that you organize and file all required documentation to save yourself time and aggravation in the spring. You don’t want to spend hours searching for receipts and other paperwork. If you organize your tax files at the beginning of every year, you will be able to approach tax time with considerable equanimity. EZChildTrack childcare management software contains several applications and modules that make gathering documents and preparing forms an efficient process. EZChildTrack software provides integrated electronic payment processing for credit card payments or bank drafts. Your parents have the option to use a credit card to pay their childcare expenses, or you can set up an automatic payment using an electronic fund transfer from a checking or savings account. Parents enroll for auto-pay through the Parent Portal. The software automatically notifies parents by email for payments made and any payment failures. The software also notifies parents when a credit card on file is set to expire soon. Transactions are recorded on the parents’ account statement they can access from the Parent Portal. Auto-pay eliminates the potential for late payment and late charges. At the end of the year, the system generates tax statements for each parent and makes it available through the Parent Portal or via email. You and your staff don't need to do anything further to ensure your clients have their tax paperwork. In the meantime, your payment cycle is shortened, and late or non-payment is virtually eliminated. For your taxes, you have all the information needed to generate reports showing revenue and profit. Your accounts receivables are minimized, and you will improve your financial picture. All payment information is entered automatically, with no manual data entry, which improves efficiency and accuracy. Not only is payment processing made quicker than ever, but all transactions are also captured by the software and stored in a central database, ready to be queried for taxes and reporting. If you have clients who are eligible for subsidies and agency payments, EZChildTrack simplifies documentation by managing the billing and payment from these sources. Parents requiring financial assistance will not add any burden to the administration of your business. Accounts receivables for the agency and the parents are maintained separately, allowing easy tracking of receivables by parent and agency. Set up agencies and billing rules. Print agency invoices and statements. Transfer agency balances to parents or write them off. Once the rules are set, all agency payment processing and tracking are taken care of automatically. All data is stored in a central database, ready to be pulled for tax and other reporting. 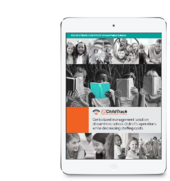 EZChildtrack childcare management software includes a report generation tool providing the flexibility to customize all of your reports. You can also configure dashboards and reports in both text and graphical formats, statistical reports, or file exports. The file export capability is especially helpful for transferring data to a separate accounting solution or sending it to your tax preparer. The reporting tool simplifies document organization and generation with little interaction from you or your staff. Storing your records electronically also saves space, since you have less need for filing cabinets and document storage. Files are easy to find, and you can quickly generate any report necessary, from the aggregate to a finely grained analysis of your financials. There is no escape from the yearly Tax Day, but you can make tax preparation faster and easier with EZChildTrack childcare management software solutions. With all your data stored in one place, every other module has access to the same data, eliminating duplications and errors in client files. Every transaction is captured, and you can customize a report to support all your required tax forms. Best of all, you can access your childcare software using any device with a web browser because EZChildTrack is cloud-based. You are not tied to your office computer and can take care of anything anytime even if your tax preparer asks for data outside operating hours. For more information about tax deductions, check out this post.